Ron was part of the first leg of the #SoulOfAmerica Journey. 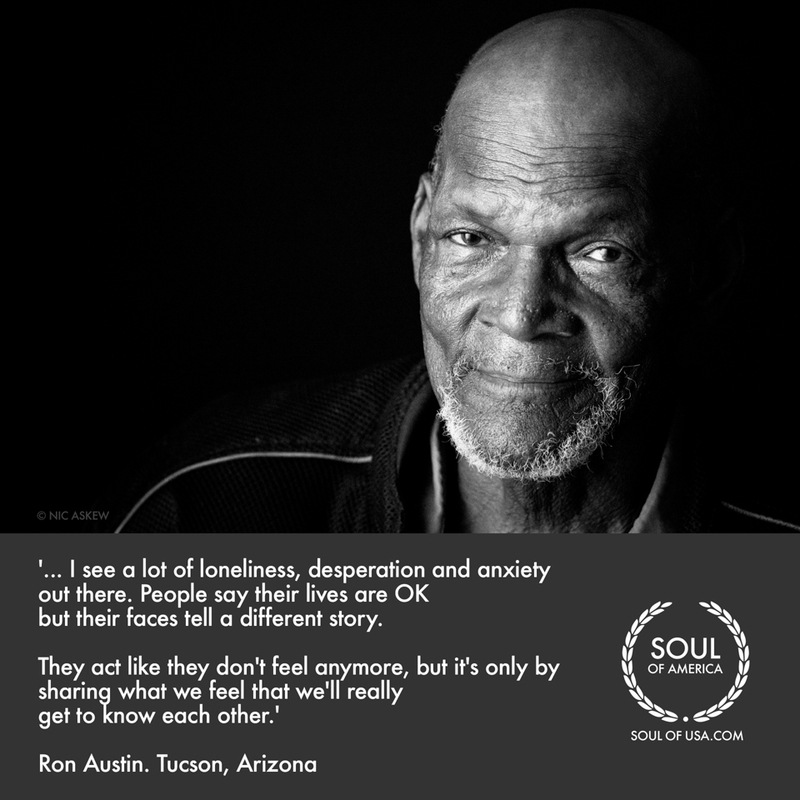 He arrived by motorbike at the group of 10 in a quiet Tucson Living Room. To explore unknown territory. To find the voice beyond opinion of right and wrong. He spends much of his time with Homeless People, on the street with his camera. Paying utmost attention. He notices with all people that many say they are OK but their faces tell a different story. I imagine this Nation might have held up a ‘We are OK’ face for too long. There is absolutely a place for a positive demeanor but there is also a place for honesty of expression. A place to let what our inner experience needs to say out into the world.